Contrary to what many people may believe and practice, not every type of shoe is appropriate for a workplace. A lot of maintenance jobs expose your feet to an increased risk of injuries due to rolling or falling objects, or injuries that may occur as a result of your shoes being pierced by different objects. Simply, if your job exposes you to increased risk of injury to your feet, you should always make sure you are wearing the best work boots for the conditions you work in. To find the right model that will offer the right level of protection in your workplace, it is necessary to do a hazard assessment and determine what kind of risks pose a threat to your feet. For example, work boots with a steel toe can effectively protect the feet from falling and flying objects, while boots made with non-conductive materials (like leather and rubber) can protect your feet from electrical hazards. 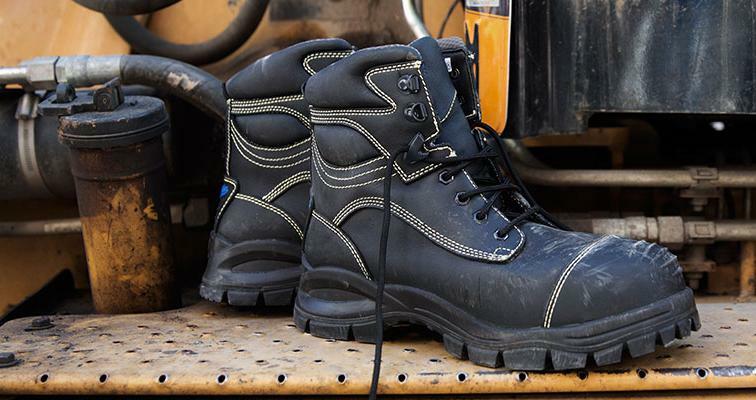 Here are a few important reasons why you should always wear the proper work boots on site. Work boots are designed and manufactured to offer greater stability on different types of surfaces, helping minimize the risk of slips and falls, which can result in an injury. Sprains and strains are the most common injuries associated with poor quality footwear. They are designed to provide protection against chemical spills and electrical hazards, as well as other work-related potential dangers. A good pair of work boots should come with slip-resistant soles, metal guards to protect your toes and to be made of materials that can shield your feet from falling objects. Jobs that involve standing for long periods of time can be detrimental for your health. Proper work boots ensure that your body is properly supported and remains in the right posture throughout your entire workday. Although safety boots are heavy, they will offer the right support for your feet. This, in turn, will help you remain active as you will feel less tired. As a result of that, you’ll be able to perform your work much better which will result in increased productivity. Wearing proper work boots will also help prevent musculoskeletal disorders. If you have a company, ensuring that your workers are always wearing the proper footwear will help prevent unnecessary complications and lawsuits. This, in turn, will also save you a lot of money in the long run, which you’d otherwise spend compensating employees for their work-related injuries. Plus, using the right safety work equipment is a legal requirement that all Australian companies should adhere to.